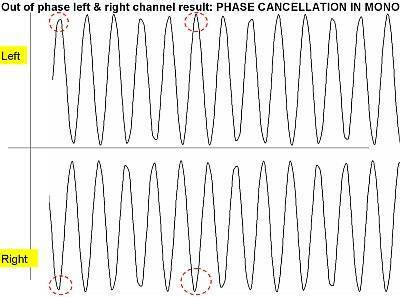 Can you please explain what is a “phase cancellation” problem? I think I have this problem in a song. 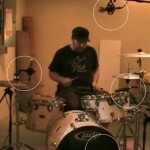 When I check my mix in mono, my guitar tracks (left and right) disappear. 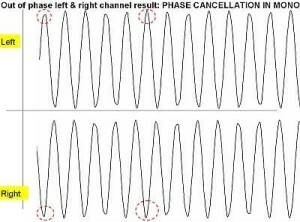 Is this phase cancellation ? If so, how can I fix that? 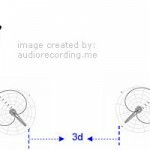 Phase cancellation is a serious issue in recording/mixing/mastering. Your problem is indeed phased cancellation. It is because your left and right guitars are “out of phase” with each other (like 180 degrees). You will NOT notice this problem when played in stereo but the problem will seriously affects when your audio signal is converted to mono. 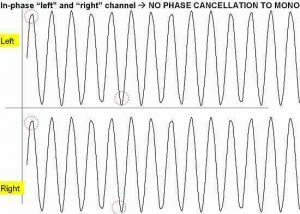 If the top peaks on the left channel correspond exactly or even “near” perfectly with the top peaks on the right channel, and then you can say that the audio stereo sound file is “in-phase”. If you convert a stereo to mono, the left and right channels are “sum up”, so if they are in-phrase you can basically sum their amplitudes and there is no cancellation due to mismatch. 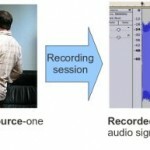 Example = + 2dB (left channel) + (+2dB right channel) ~ 4dB summation, so there is no weakening of audio results. A “+” symbol indicates the phase. 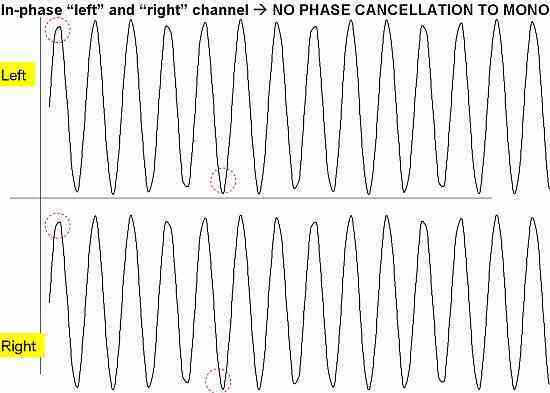 Since both right and left channel are positive, then they are in-phase with each other such as shown in the above screenshot.